I read this article and found it very interesting, thought it might be something for you. The article is called Budget 2013: Costing India’s Flagship Schemes and is located at https://archive.indiaspend.com/viznomics/budget-2013-costing-indias-flagship-schemes. India’s budgetary pronouncements are often analyzed in the context of the many spending programmes successive Governments have initiated over the years – and the 2013-2014 Union Budget is no different. Many of these programmes draw criticism for their faulty design & less-than-effective implementation. Nevertheless, these programmes have helped the Government focus efforts in a manner that would have otherwise been difficult to achieve. 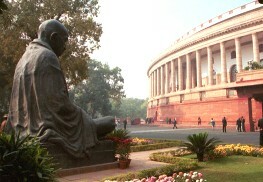 IndiaSpend looks at the 2013-2014 Union budget to catalogue the Indian government’s top ten flagship spending programmes. Let’s begin with the headline number: In all, they are budgeted around Rs 160,245 crore in 2013-2014. While significant, this amount constituted around 10% of the Central budget, which was Rs 16, 65,297 crore in 2013-2014. India’s single largest flagship programme is the Mahatma Gandhi National Rural Employment Guarantee popularly referred as MNREGA or NREGA programme – where, in 2013-2014, over Rs 37,000 crore (same as the previous year) was budgeted to provide guaranteed employment to almost 50 million rural households. It is also the newest programme on the list – having been kicked off just seven years ago in 2006. The oldest flagship programme –The National Rural Drinking Water Programme – is over 40 years old, and was implemented under a different name in 1972. Yes, names tend to change over the years. Three of the top ten flagship programmes were launched by the current United Progressive Alliance (UPA)-ruling government –Mahatma Gandhi National Rural Employment Guarantee Programme, National Health Mission (formerly the National Rural Health Mission), and Jawaharlal Nehru National Urban Renewal Mission. Six of the ten flagship programmes are targeted at rural areas focusing on employment, health, development, water, housing and electrification. Of the other four programmes, only one solely focuses on urban areas targeting development issues. The other three programmes are nationwide and focus on children’s education and development. For more detailed information on each flagship programme including 5-year expenditure data, current budget levels, goals and challenges, click here.